We offer QUALITY DENTAL AND FACIAL SERVICES THAT ALLOW YOU TO ACHIEVE AND MAINTAIN YOUR BEST SMILING FACE. The latest 21st Century dental materials and techniques allow us to create smiles unsurpassed in the past. There are numerous needs for cosmetic dental services.They may include missing, decayed, worn, or misaligned teeth. For patients who are self-conscious about the appearance of their teeth, Dr. Klement can help them achieve the goal of a vibrant smile makeover. Patients are living longer, healthier lives. An appealing smile mirrors the image of good health that the mature population seeks. Worn teeth unnecessarily age an individual. Porcelain restorations can “rebuild” teeth to an ideal size and color, allowing patients to maintain a more youthful appearance. Tooth Whitening: Both in-office and take-home brightening solutions allow patients options to work with their schedules. Professional systems ensure patients with product safety and efficacy. Porcelain Crowns: The all-porcelain crowns of today have a remarkably natural appearance, strength, and unparalleled aesthetics. Crowns restore individual teeth. Bridges were used in the past to replace missing teeth and, in some cases, are utilized currently. More commonly, however, missing teeth are replaced with dental implants which are the recommended treatment of choice. Porcelain Veneers: Fabricated of the same porcelain as the crowns described above, they can be used to correct minor imperfections, undersized teeth, or deep stains that whitening cannot mask. Composite Restorations: Modern dentistry has replaced the use of amalgam (silver fillings) with those of composite materials. If you have areas of decay that require restorations or existing amalgam restorations that require replacement, the composite material may be recommended. Implant-supported restorations: Used to replace a range of missing teeth solutions ranging from a single missing tooth to a complete arch of missing teeth, these restorations can truly improve the quality of life for a person who would otherwise be without one or more missing teeth for the remainder of their life! Crafting our restorations are expert technicians that bring their equipment to our office and provide custom shading. Restorations are precise and results are wonderful! Prior to any restorative treatment, you will undergo a comprehensive oral examination. This is comprised of a thorough examination of your teeth and surrounding tissues in order to get s better understanding of your dental needs and goals. During your visit, you are encouraged to share with Dr. Klement any specific goals you wish to accomplish and voice any concerns. Dr. Klement helps patients gain confidence in their smiles by restoring function, health, and appearance. If you have any questions concerning how you could benefit from any cosmetic treatment or any other dental services, please call our office today! Many patients enjoy the convenience of having these services available to them in the comfort of a familiar office setting by a doctor they know and trust. We offer two injectable gel fillers.They contain Hyaluronic acid, a naturally occurring substance that delivers nutrients to the skin, helping the skin retain moisture and softness, and adding volume. Based on your indications, your aesthetic specialist will administer the gel during a brief Office visit. The gel contains lidocaine to help minimize discomfort during treatment. If you wish, a topical anesthetic cream may also be applied prior to treatment. Juvederm Ultra: It is used to reduce moderate to severe wrinkles and folds, especially around the lips and nose. 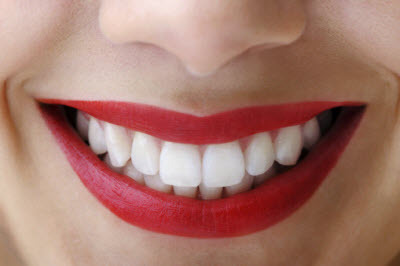 It dismisses the smile lines between the lip corners of the mouth and the nose, the lines from the corners of the mouth to the chin, and vertical lines around the lips. Juvederm Voluma XC: It is specially designed to be used in the cheek area to correct age-related volume loss in adults over 21. In addition, we offer Botox Cosmetic. This treatment the relaxes muscles which cause frown lines and crow’s feet. The injections are insignificant and generally require no local or topical anesthetic. These treatments last for a number of months. The length of time varies from patient to patient but is expected to be around 6 months.Dr. Klement can advise you of the type and amount of adjunctive cosmetic treatment she recommends.